Spring is just about everywhere. Flowers are starting to bloom and the trees have gotten their green leaves in finally. I don't know about you but my garden has sen better days! I love weeding and taking care of it though. I think it is a stress reliever rather than a chore I HAVE to do. With any hobby though you need to have comfortable shoes in order to spend so much time doing what you love. Meet my secret weapon: Clark Shoes. They are a unique combination of artisanship, comfort and innovation that not only look amazing but are a pleasure to wear. I was introduced to them a few Summers back. We were at a family gathering when I commented on someone's shoes. Turns out everyone was sporting these wedges or sandals. I was clearly missing out! 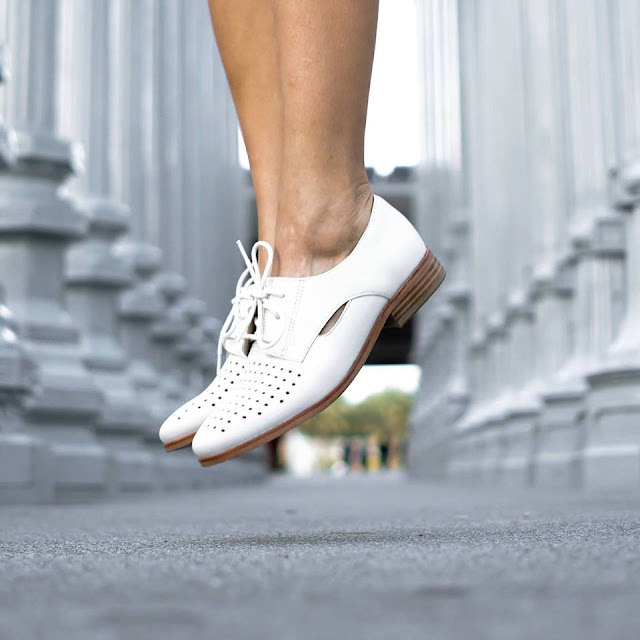 Shoes that look fabulous but allow you to walk comfortably? Talk about a Win-Win! If you want the comfort and style at a reasonable price I have just the deal for you! 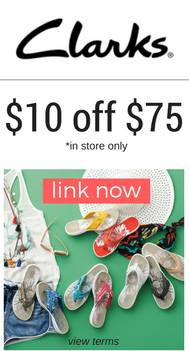 Enjoy $10 off $75 offer. Choose from 22,000 different styles. Have you seen the classic Clarks Desert Boot, launched in 1950? There is a reason they have been around for so long. Even though I am on the younger side I want to take care of my body. I love to be outdoors traveling, walking, hiking you name it. Having footwear that not only fits my needs but also my wants matters. It is an investment. I want to invest my money into shoes that will last and that I enjoy wearing. So take advantage of this great offer like I am!! Do you enjoy wearing wedges or flip flops during the Summer, comment below?